Someone posted a bad review. Do your respond? Do you ignore? Is your reputation doomed? While websites like Yelp have been helpful for conscientious consumers, these sites have often become the bane of many organizations’ existence when one or more users post negative reviews as a result of an unfortunate mistake or a misunderstanding. Sometimes they can be outright lies from a reviewer who is overly angry or out to cause trouble. When it comes to faith-based organizations, there is also the chance of a conflict of deep-seated beliefs, perceptions, opinions, etc. that can fuel negative reviews. While some comments and reviews should indeed be ignored, there are several opportunities for conversation, resolution, clarification, and even more exposure to your online audience when we take the time to carefully and thoughtfully respond to ALL (or as many as possible) your organization’s reviews. This is also crucial because review websites often show higher up in Google search results than your own website. We’re sharing some recommended resources that can help you develop a policy for online interactions such as these, and to help you know what to do if/when you do receive negative reviews. Don’t only respond to bad reviews, be sure to thank and engage with good reviews as well. Include an easy method of follow-up, such as an email or phone number that is meant to take customer service communications. That can take some of the more sensitive interactions into a more suitable, personal channel. Don’t argue! It’s not about being right, it’s about how you can reasonably reach out to the customer, acknowledge their situation, and show that you care. 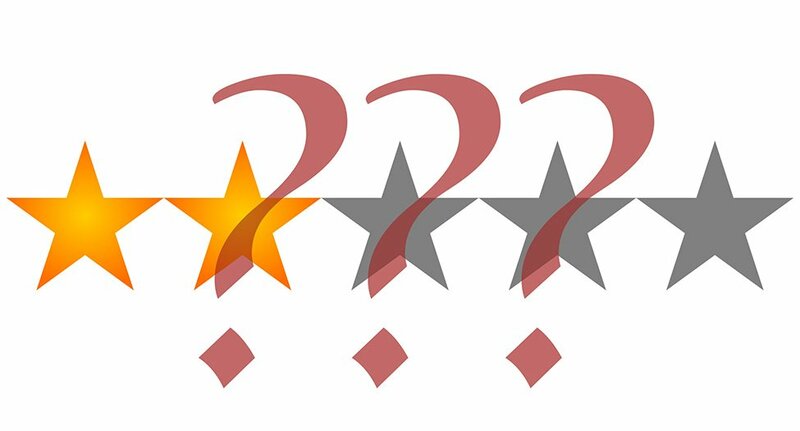 Sometimes users have even changed their reviews to 5 stars after a positive customer service experience. Some negative reviews are warranted. We all make mistakes. Acknowledge what happened, apologize, and be specific about how you will work extra hard to improve quality/efficiency/service, etc. Who doesn’t love a good flow chart? This diagram by Jamie Domm, Digital Strategist for the North American Division, helps us assess and plan out our responses to comments, reviews and posts. Even if a highly negative comment or review is best ignored, it’s still a good idea to monitor it for any continued activity. Additionally, while you can’t delete reviews, you can delete or hide comments. Sometimes it’s best to quietly do that and move on. Respond directly to the facts presented in the comment or review, addressing those first before tackling the misinformation cautiously. In text only, it can be easy to sound condescending, even if you don’t mean it that way. If you have GOOD reviews and comments, make sure to respond to those as well! Rather than simply thanking them, see if you can find ways to compliment and inspire that user, or if appropriate, draw attention to other initiatives or aspects of your organization that might interest that person. You might find you’ve recruited an advocate for you organization. Be as transparent as possible/appropriate. Disclose your ministry connections, cite your sources, and explain things gently and casually, as if talking to a friend. Remember—to respond to reviews at all, you need to officially claim your organization on Yelp. The same is true for many other review/directory websites as well. You also must have an appropriate profile photo. No blank boxes. Yelp has an option to respond with direct messages if the discussion requires a more focused, personal approach. However, if you do send a direct message, respond to the comment with something like, “I’d like to know more. I’ll send you a direct message,” etc. That way other users see that you are actively engaging with your audience. NOTE: Try not to overdo this, though, as public responses are also opportunities to clarify information, show that you care, and demonstrate how customer service is valued at your organization. Save direct messages for escalated conversations or when sensitive information may be involved. Google’s support forums have a lot of good advice, but beware, there’s also a lot of outdated information, along with articles that are not user-friendly or tailored for beginners. But in this particular article, they give some great tips. You must be logged into your organization’s Google account to respond to these reviews. You must also have Google My Business set up and your location’s address verified. Keep your responses short and sweet. It’s easy to start over-explaining, so you might want to write out your response on a separate document, then proof it and trim it if possible, then paste it into the response area. Online reputation is a big deal, no matter how small your organization. These tips will help you integrate this focus into your outreach strategy. And if you have any questions or if you want us to cover a particular aspect of managing reviews, let us know!